Go behind the scenes of the exhibit through educational programs and interviews with experts. Join our Teens Behind the Scenes to explore the Gardner Museum’s Saint George Slaying the Dragon with a conservator, a curator, and a museum educator. Interacting with museum staff members, the teens gain new insights into curatorial practices, conservation analysis, and careful looking together. What’s going on in this picture? In a discussion led by School Partnership Manager Sara Egan, Gardner Museum Teens Behind the Scenes begin to puzzle through choices made by the artist. How do you help a painting made more than 500 years ago look its best? John L. and Susan K. Gardner Chief Conservator Gianfranco Pocobene and Assistant Curator Nathaniel Silver show how careful study of the materials and techniques used by artists help them learn about and care for the collection. How are Special Exhibitions Planned at the Gardner? Gardner Museum Teens Behind the Scenes learn how Assistant Curator Nathaniel Silver studied Italian Renaissance painter Carlo Crivelli’s Saint George Slaying the Dragon to prepare for the special exhibition, Ornament and Illusion: Carlo Crivelli of Venice. 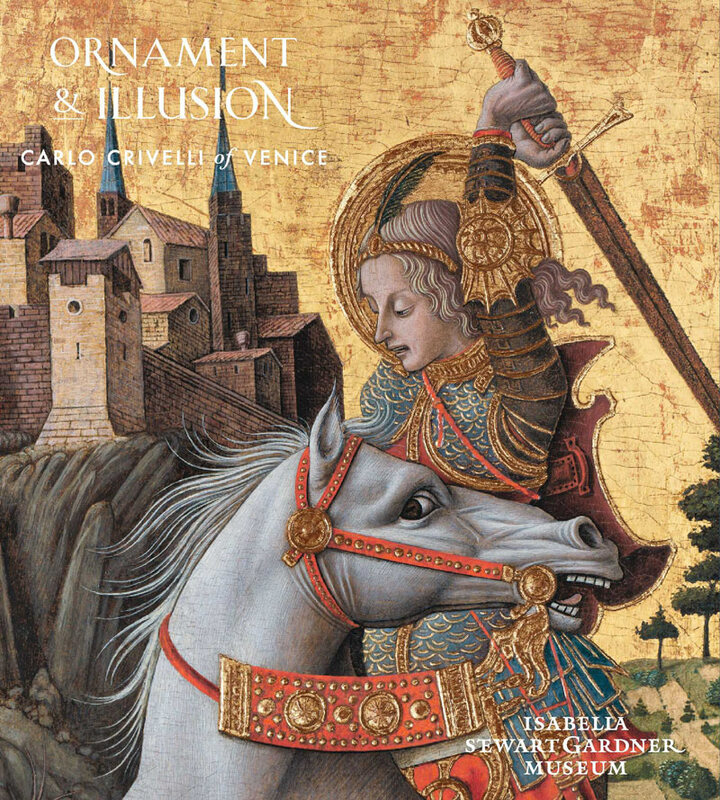 Pick up a copy of the exhibition catalogue, featuring entries on all 24 works by Crivelli in this show and new insights by scholars.